Garmin’s fleet management interface provides the best way for fleet managers to improve response times, optimize fleet resources, and ultimately achieve lower costs and higher profits for their companies. Garmin’s fleet management interface makes it easy for dispatchers to send multiple destinations and on-the-go instructions directly to drivers. 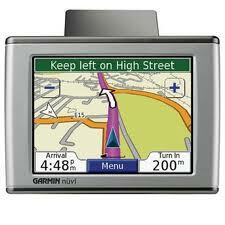 Fleet drivers are able to use the Garmin GPS device as a screen in their vehicle. Then drivers can get real-time voice prompted navigation, messaging and job dispatch capabilities right at their fingertips. Using a 3rd party sensor, fleets can also track vital GPS data such as vehicle location, speed and direction of travel, distance traveled, elapsed time, number of stops and fuel status. Garmin’s fleet management interface lets you turn a Garmin GPS navigation device into a two-way messaging terminal. Many different types of commercial fleets find the Garmin interface to be very useful including local delivery vans, cross-country heavy trucks, taxi cabs, and government/city fleet vehicles. One of Garmin’s best third party providers for PND-based mobile resource management and real-time vehicle tracking is FieldLogix GPS Fleet Tracking System. FieldLogix helps fleet managers make sure their vehicles are achieving maximum efficiency. Fleet owners, managers and dispatchers alike recommend FieldLogix for its cutting-edge fleet tracking and management software. Easily determine which jobs are pending, in progress or completed.